An historic rupture in the Christian faith occurred last month. Astonishingly, most Christians (except the Orthodox) don’t know what happened or why it’s important religiously and politically. Eastern Orthodoxy is a patchwork of different denominations connected in a consortium called the Ecumenical Patriarchate, currently led by Patriarch Bartholomew I, ‘the first among equals’ who is situated in Istanbul. For the first thousand years of Christianity, Orthodoxy had as much power and influence as the Roman Catholic church in the past millennium. Today Eastern Orthodoxy has 300 million followers, according to the New York Times, a significant part of the world-wide Christian community. What happened last month? 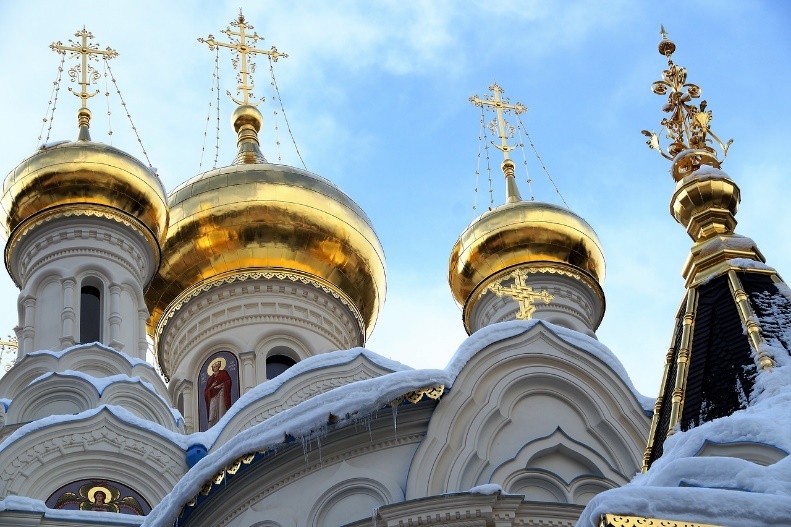 The Russian Orthodox church broke off from the consortium of Orthodox traditions because of the consortium’s recognition of self-governing Ukrainian Orthodox communities, communities the Russian church feels it should govern. The split represents the biggest breakup in Christianity since 1054 when the faith split in half, with Rome governing Catholics, and the Istanbul consortium governing Orthodox believers. The process granting independence to the Ukranian Orthodox is called “autocephaly,” and Russia has threatened to break off from all other Orthodox communities if it goes forward. The Russian church has the most money and prestige, but losing the rest of the Eastern Orthodox groups is devastating to Russian Orthodoxy, and Putin’s claim of returning to the old Tsarist empire is threatened in losing the Ukranian communities. A perfect example of why intrafaith conflict is often tougher to deal with than interfaith conflict. Who am I? How do I explore who I am spiritually? Living in a multi-faith environment offers new options for answering those questions. United Church of Christ clergyperson Rob Apgar-Taylor focused on Buddhism in a doctoral program on spirituality at Princeton University. Wanting to witness the tradition as it is lived, he spent last summer in a Tibetan Buddhist monastery in Nepal. Drawn to what Buddhist and Christian traditions share, he was curious why many Christians are leaving their home traditions to become Buddhists? Back in the parish he pastors in Maryland, he has some illuminating answers. Meanwhile, the Who are you? question is being explored as never before by governmental and economic powers. Now comes report that religion is being datamined to discover how people of faith and practice will most likely vote, information for sale to campaigns. In short, most of us are leaving thousands of pages of data about ourselves, information that can be datamined, politicized, and sold, shredding privacy for us all, including what we believe and what that means to us..
Blasphemy laws continue to trouble the culture of dozens of countries, though Ireland abolished its own blasphemy laws earlier this month. Asia Bibi, a Pakistani Christian accused of blasphemy, a capital offense there, has been in jail for the past five years. The country’s supreme court, however, lifted the judgment and released her, though she is still confined in the country and there have been riots by objecting Muslim extremists who want her executed. Tough religious stories keep coming from China. Earlier this month the 154th Tibetan monk since 2009 died from self-immolation, protesting China and calling for the return of the Dalai Lama. The 29-year-old priest perished in Ngaba county, a traditionally Tibetan region of Sichuan province. The continuing policy of the Chinese government is to say absolutely nothing about such events. Chinese suppression of Uigar Muslims in northwest China through internment camps is a matter of record. But now the government has taken a new tack. Instead of denying that the camps brutalize their inmates, the claim is that they are ‘civilizing’ them, bringing them into conformance with the modern world. All 15 Roman Catholic dioceses in the state of Texas will be publishing a list of all the “credibly accused” priests of sexual abuse of a minor. This follows similar announcements in California and Ohio in a story that seems to have no end. 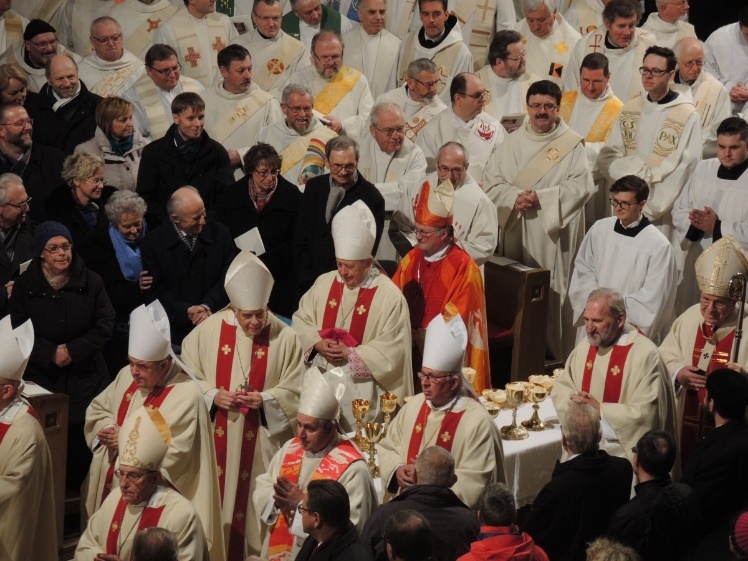 It turns out that the bishops who are releasing the lists are the same ones who hid the offences in the past, transferring offending priests to far-away congregations. This practice is as reprehensible as the abuse itself, many suggest, and the notion that all US bishops should resign, as they did in Chile recently, is being debated. That said, more positive news keeps surfacing. The Vatican’s synod of bishops studying young people issued a report that called for women to be included at all levels of the church and is much more welcoming to LGBTQ Catholics, without ever using “LGBTQ” in the text of their report. Thirty young people invited to participate significantly influenced the synod’s outcome and were welcomed by the bishops. But controversy attended almost every issue, though in the end progressive Catholics were happy with the outcome. The Catholic diocese of Baltimore, Maryland is offering Parish ID cards to immigrants that Baltimore police will recognize, a move that means immigrants will not be as fearful of calling the police or of false arrest. Similar programs are being instituted in Dallas, Texas and Cincinnati, Ohio. Trump recently began invoking the word “nationalism,” a word rarely heard in American politics. Why? “Nationalism suggests a commitment to one country to a fault. Patriotism is a love for country that is willing to call it to question and challenge its flaws.” So says Rev. William J. Barber II, who is becoming a major Progressive voice. He is a senior fellow at New York’s Auburn Seminary and recent recipient of a Macarthur Genius fellowship. By the way, you can find an excellent guide for LGBTQ persons who suffer from cyberbullying here. The Rev. Dr. D. Andrew Kille died on June 30, 2018 at the age of 68, following a lengthy bout with pancreatic cancer. Andy was a masterful writer and editor, teacher, biblical scholar, and interfaith activist. He was a pioneer in fostering interfaith dialogue in the San Francisco Bay Area religious community, particularly the south Bay, starting more than 30 years ago. Andew Kille was born January 6, 1950 in Ventura, in southern California. Raised nearby in the Ojai hills, he attended Stanford University. He received a divinity degree at American Baptist Seminary of the West and served in pastoral ministry for 15 years before returning to graduate school. Along the way, Kille developed an enduring passion for Bay Area interfaith activities. He founded and directed the website Interfaith Space in San Jose, California. For the past decade he has written and edited the Bay Area Interfaith Connect, the newsletter of the Interfaith Center at the Presidio in San Francisco, where he also served on the board of directors. Each month BAIC published a list of 30-40 interfaith activities being held around the Bay Area. And he led the city of San Jose through the process of becoming a Partner City of the Parliament of the World’s Religions. In 2009, Kille was awarded the Building Bridges Award by ING, a San Jose-based group which sponsors an Interfaith Speakers Bureau to educate people on issues of interfaith relations. Kille served as an advisor to ING. And he was chair of the group that worked to create SiVIC, the Silicon Valley Interreligious Council in 2011. What many of Andy’s friends and colleagues didn’t realize was that he spent the first 15 years of his ministry as the pastor of Grace Baptist Church in San Jose, where he also served choir director, a ‘sideline’ he kept up for decades. The academy tugged at his heart, though, and he went to the Graduate Theological Union, in Berkeley, where he completed a Ph.D. in psychological biblical criticism, an area of study he helped create with numerous articles and three books he co-edited: A Cry Instead of Justice: The Bible and Cultures of Violence in Psychological Perspective (2010); Psychological Insight into the Bible: Texts and Readings (2007); and Psychological Biblical Criticism (2001). He taught for a number of years at Holy Names College and Santa Clara University. Kille has served as both co-chair and chair of the Psychology and Biblical Studies Section of the Society of Biblical Literature. In 2007, he was named editor of The Bible Workbench, a study resource on the Bible rooted in a psychologically informed approach, published by The Educational Center in Charlotte, NC. The Rev. Dr. Clark Lobenstine (May 9, 1945-October 15, 2018) always declined the title “founding executive director” of the InterFaith Conference of Metropolitan Washington (IFC). He was quick to remind others that the work of IFC in Washington, DC began six months before his arrival as the first director of the organization in 1979. On arrival, IFC was a fledgling organization bringing together three the Abrahamic faith traditions – Christianity, Islam, and Judaism. By the time Clark retired in 2014, the canopy over the open tent of dialogue had grown to 11 traditions, including the Baha’i, Buddhist, Catholic, Hindu, Jain, Jewish, Latter-day Saints, Muslim, Protestant, Sikh, and Zoroastrian faith communities. Given his background as a young social worker in Louisville, Clark believed that interfaith dialogue needed to be complemented by joint social action. In its early days, various committees and working groups under the umbrella of IFC gave birth to organizations such as the Capital Area Community Food Bank and Garden Resources of Washington (GRoW). To this today, the IFC annually updates and digitally publishes an Emergency Services Directory that provides people in social work a comprehensive listing of resources for people in serious need of assistance in Washington, DC and its nearby suburbs. Clark rejected a syncretistic approach to interfaith, instead proclaiming the need for pluralism. He was an ordained minister in the Presbyterian Church USA, and his strong Christian convictions deeply influenced his approach to interfaith dialogue. He knew the significant differences among the traditions and believed that only by proclaiming them could we authentically come to the table of dialogue. Over his 35 years in interfaith ministry, Clark mentored countless individuals who followed in his footsteps in various organizations. He hired me as a program director for IFC’s youth outreach and later had the confidence to promote me, in my mid-thirties, to be assistant director. He encouraged my participation, first as a scholarship recipient and eventually as the chair, in the work of the North American Interfaith Network (NAIN), which he helped found. Clark was also proud to be tapped by Religions for Peace-USA to consult with interfaith organizations that were being launched in Philadelphia and Kansas City. IFC’s own robust intern program assured that Clark’s name and legacy will be remembered by millennials as well as his peers. Clark died peacefully in his sleep at age 73. He never completely recovered from a fall suffered after his retirement from IFC at his family’s home in Massachusetts; he also experienced complications from Parkinson’s Disease in his final years. In the final full day of his life, Clark was present for the annual Unity Walk in Washington, DC – a program he helped launch as a response to the tragedy of 9/11. The walk begins with a program at one of Washington’s most prominent synagogues and continues down Massachusetts Avenue’s Embassy Row to the Islamic Center and then on to the statue of Mahatma Gandhi out in front of the Indian embassy. Along the way, walkers can venture into a Sikh gurdwara, Washington National Cathedral, a local Catholic parish, as well as the embassy of the Vatican City State, all of which sponsor community service projects and welcome visitors. The Unity Walk expresses the essence of what Rev. Dr. Clark Lobenstine meant to the multifaith community of Washington, DC. In a transient city where leaders come and go, sometimes leaving with tarnished reputations, Clark’s steady presence and strong moral compass challenged us to do more and bring many more into conversation. Great was his faithfulness!